Earn $21.49 in Rewards credit (2149 points) What's This? Easton’s new AX series line of bars meets the needs of the growing drop bar adventure and gravel segment. Building off the highly successful and critically acclaimed line of new EC70 AX bar utilizes a proven top shape and reach as well as ergonomic drop shape, but turns up the drop flare from 4 degrees all the way up to 16 degrees. The wider stance in the drops provides more control on rough terrain and long gravel assaults. Why 16-degrees? Based on extensive testing and rider feedback we determined that 16 degrees was the perfect balance of maximum bar flare that still allowed for efficient access and usage of the shifters and brakes in both the hoods and drops. 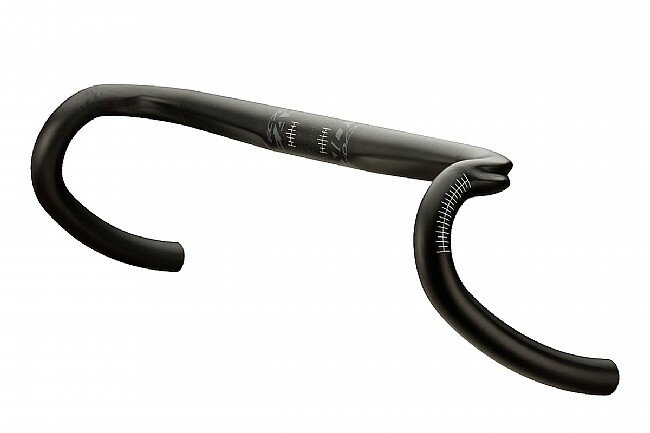 The Easton EC70 AX Carbon Handlebar is available in 4 widths: 40, 42, 44, and 46cm (center-to-center).